This cherished one-owner home offers four bedrooms and three bathrooms and is located in the sunny and sought-after Kelvin Heights. Positioned in a quiet cul-de-sac, 14 Milward Place enjoys superb lake and mountain views including Coronet Peak, Walter Peak and The Remarkables. The sunsets from here are mesmerizing! There is a lot on offer here and a lot to love. Configured over two levels, the upper level has an open-plan living and kitchen with an adjacent separate lounge. Whether you choose to dine indoors or al fresco, rest assured the well-appointed kitchen will delight the chef of the house. Also on this level is the master suite with a luxurious en-suite (with bath) and walk-in robe. On the lower level, there is a second master bedroom with its own luxurious en-suite and walk-in robe. The two other bedrooms downstairs share the third bathroom. What is special about this home? Currently the third and fourth bedroom can be separated from the main home. The fourth bedroom has a kitchenette and is configured as an additional living space. This downstairs area would be ideal if you have a dependent relative or would like to earn extra income and host paying guests in their own lodgings. Inherently warm, thanks to its north-facing orientation, you'll also enjoy the benefits of double glazing, two gas fires and a ducted heating system throughout. There is a large, private terrace to the rear overlooking the family-sized 1,298 sq m backyard with fruit trees and established plantings. Other bonuses include a separate powder room, abundant storage and an internal access double garage with easy drive-on access. Our Vendor offers their cherished home for sale with an extensive furniture package... you can simply move in and enjoy! 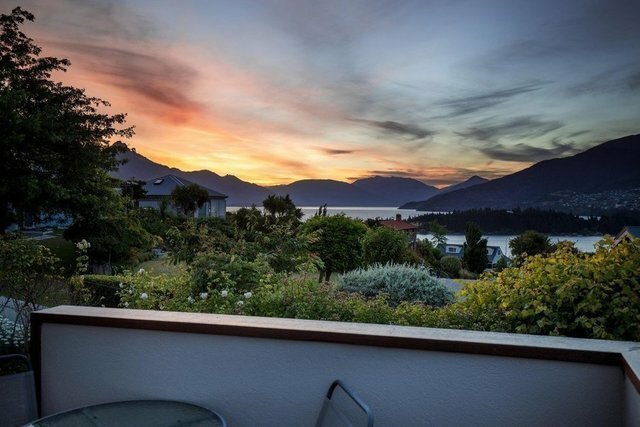 The Kelvin Heights location is proven and unquestioned - just moments to the lake, golf course and a short drive to the Queenstown International Airport and Frankton shopping. You're buying into a true blue chip neighbourhood and this home is on the market for definite sale.